Carzonrent India (P) Ltd. (CIPL) has launched the EasyCabs Mobile Application suite which is a free mobile application which enables convenient booking of Easycabs via mobile phones. The EasyCabs mobile application which will be available for service to customers in Delhi-NCR, Mumbai, Hyderabad and Bengaluru will enable customers to book an Easycab with their mobile phone. The app will also assist in creating and managing customers’ profiles, reserving the cab, tagging frequently travelled locations, modifying and even cancelling reservations amongst its various user friendly features. All the features have been optimized to expedite the booking process. EasyCabs Mobile Application is one of the first and finest applications for booking cabs for local transportation within the city. The suite is integrated with a middleware which in turn interfaces with the booking engines of various cities. Commuters who will book cabs through this mobile application will also be exempted from any kind of convenience charge. 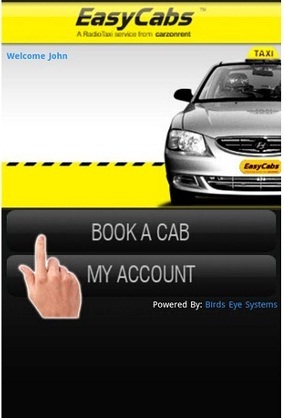 The company has plans to enhance the EasyCabs Mobile Application with features that will enable tracking the designated cab once the booking is confirmed, checking live traffic information on the designated route, using the device GPS for start address, etc. The overall intention is to make the application high on technology yet keep it easy to use for the customers. You can download the app for Android over here, BlackBerry over here, and Nokia over here.